Our company has set benchmark in the field of supply and trade of Glass Films. These glass films are known for their outstanding quality and exceptional finishing. Further, these glass films have alluring appeal and contemporary design. These glass films are available in wide ranging specifications to cater to the requirements of the ever-growing consumer base. 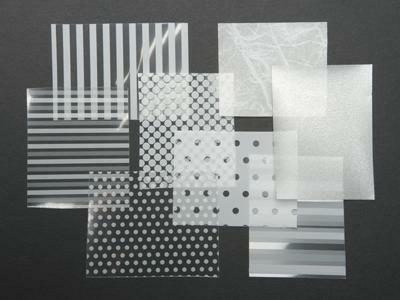 We have created niche for itself in the field of supply and trade of Frosted Window Films. These films are known for their great quality and exceptional finishing. In addition to this, these window films have very good shine and are manufactured using supreme quality of material which is procured from our most trusted vendors. Further, these are available in wide gamut of specifications and extensive ranges. Our company specializes in the supply and trade of Decorative Window Films. These window films are manufactured in bulk and are known for their long life and durability. In addition to this, these decorative window films are easy to install and are deployed at number of places. These window films are customized according to the requirements of the consumers. The best part of these window films is that these have excellent quality and finished according to the latest industry trends.